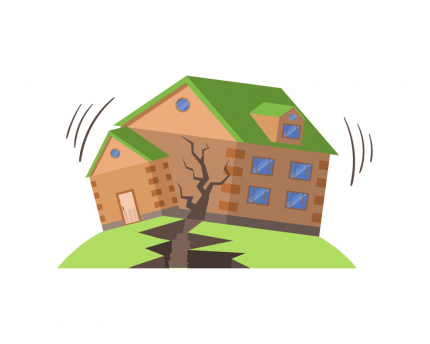 Home » Today » Does fracking cause earthquakes? Geologists used to believe that “fracking”—or hydraulic fracturing, the process of drilling down into the earth and injecting water, chemicals and sand at high-pressure to release and capture the gas or oil contained in the rock—couldn’t actually cause earthquakes. But conventional wisdom began to change in 2009 when the ground started shaking across Oklahoma in the wake of that state’s new fracking boom. Today it is not uncommon for earthquakes to rock the Sooner State during a given year—and no one doubts that they are a result of fracking and related activities. According to the U.S. Geological Survey, earthquakes in Oklahoma are now hundreds of times more common than just a decade ago. Meanwhile, seven other Midwestern and Southern states have experienced similar rises in the incidence of earthquakes since fracking commenced in recent years. “These earthquakes are occurring at a higher rate than ever before and pose a much greater risk to people living nearby,” says Mark Petersen, national regional coordinator for the U.S. Geological Survey. But environmental leaders take little comfort in that distinction, especially given that most of the dangerous wastewater disposal in Oklahoma is a result of fracking operations. And in other areas with different geologic composition, fracking itself has been linked to increased seismic activity. By studying the fingerprint of these quakes, Brudzinski and Currie, whose recent findings were published in the peer-reviewed journal Proceedings of the National Academy of Sciences, hope to help prevent future quakes and minimize the damage from ones they can’t prevent. Brudzinski and Currie would like to see more research dollars funding earthquake detectors that are sensitive down to a “smaller, earlier threshold” (such as 1.6 magnitude): “If companies can monitor events at smaller levels, they can detect problems earlier before they get big.” Such funding could be money well spent, given that some 3.5 million Americans, primarily in Oklahoma and southern Kansas, live in areas vulnerable to significant damage from man-made earthquakes. Proceedings of the National Academy of Sciences: Maturity of nearby faults influences seismic hazard from hydraulic fracturing. Is extracting lithium worse than fracking?